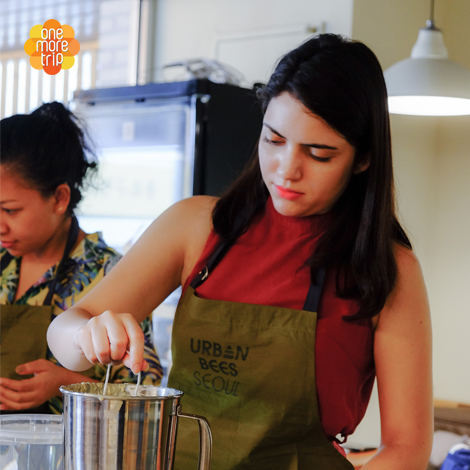 After much consideration, the Tak sisters decided to teach international visitors how to make bean paste rice cake. 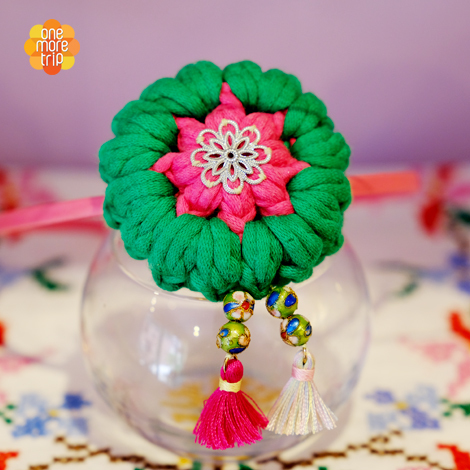 Not only does it look pretty and taste delicious, it’s also fun to make! However, they ran into one big problem. Rice cakes have a short shelf life and become stale within 24 hours of making. The Tak sisters had a hard time coming up with a solution. But they did not give up! After a lot of research and a lot of trial and error, they finally found the golden ratio of rice powder to bean paste. A creative thought that started from a simple question has now become their way of making a living. 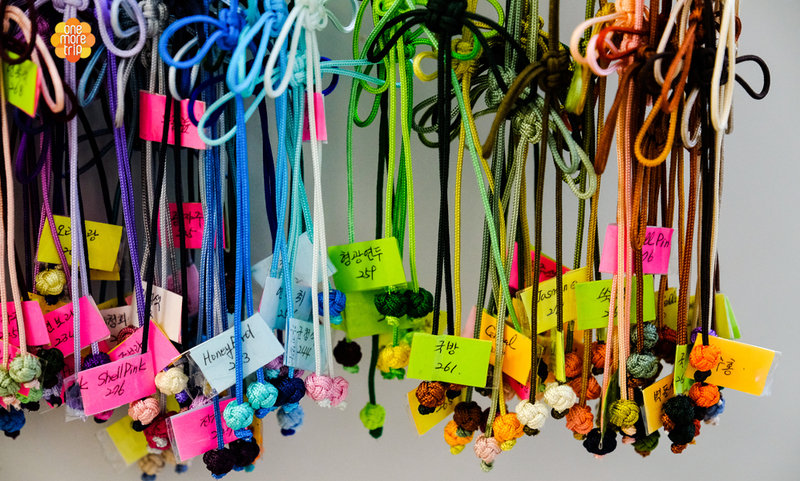 At Sunnysdining you learn about traditional Korean crafts and take a look at the sisters’ beautiful handiworks. 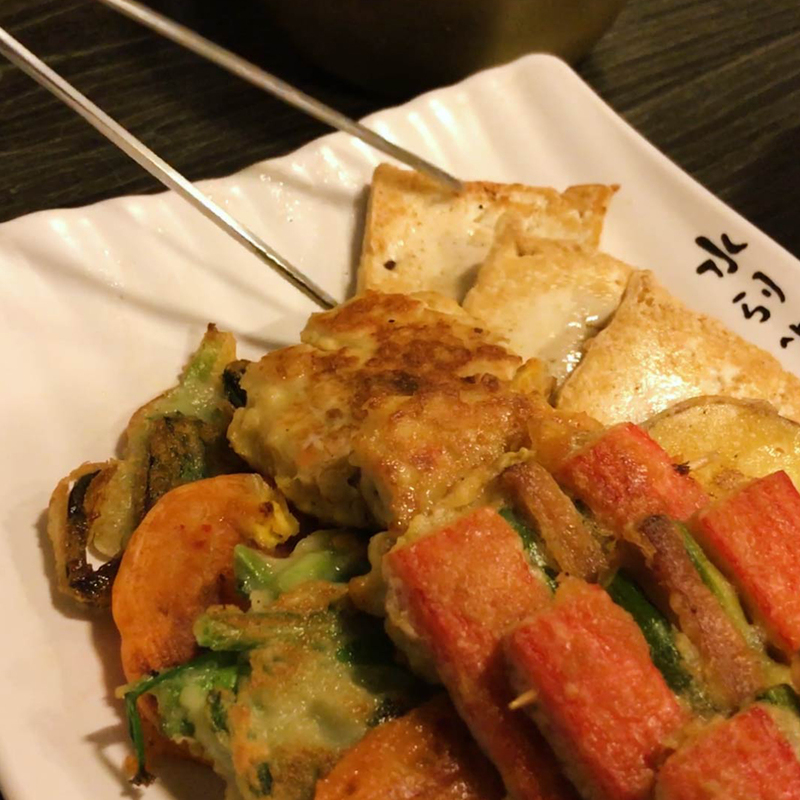 - Make your own beautiful Korean bean paste rice cake. 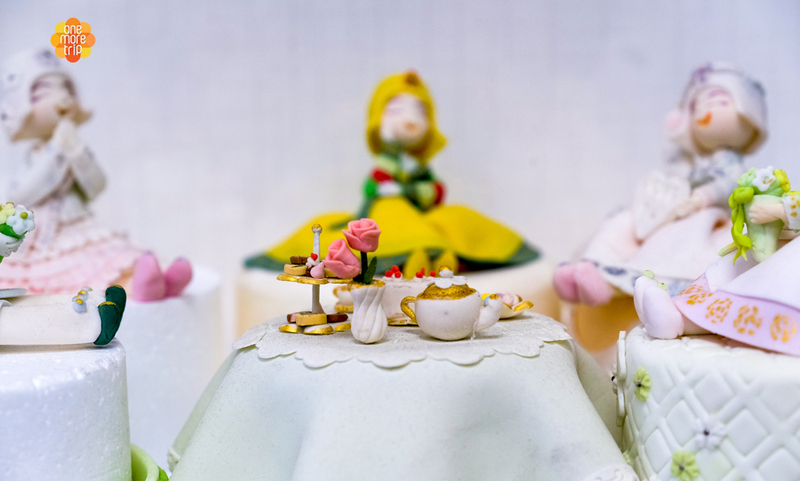 - Enjoy tea and refreshments and a beautiful view of Seoul. - Both individuals and groups can participate in the program. The owners of Sunnysdining, the Tak sisters have unique careers, having worked as hoteliers for 20 years. 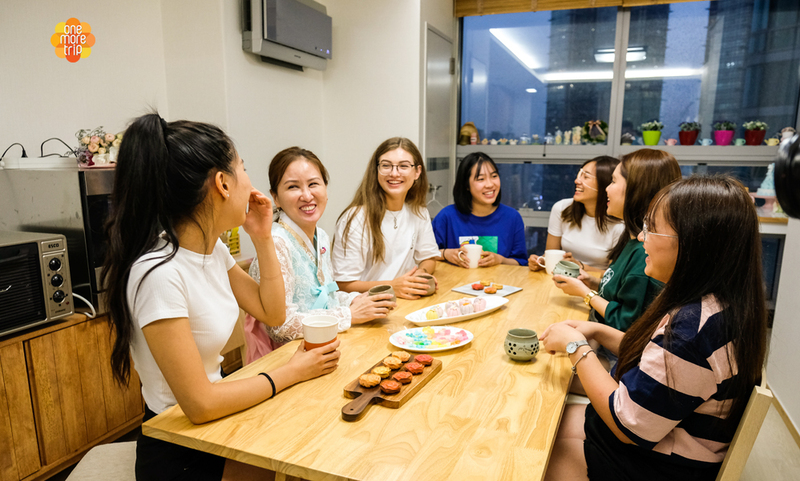 Through their jobs they’d meet and interact with people from various countries, and this led them wonder about what they could do to contribute to cultural tourism in Korea. After a lot of consideration, they decided to introduce traditional Korean bean paste rice cakes to the rest of the world. Wouldn’t it be fun to take part in a cooking class taught by hoteliers? 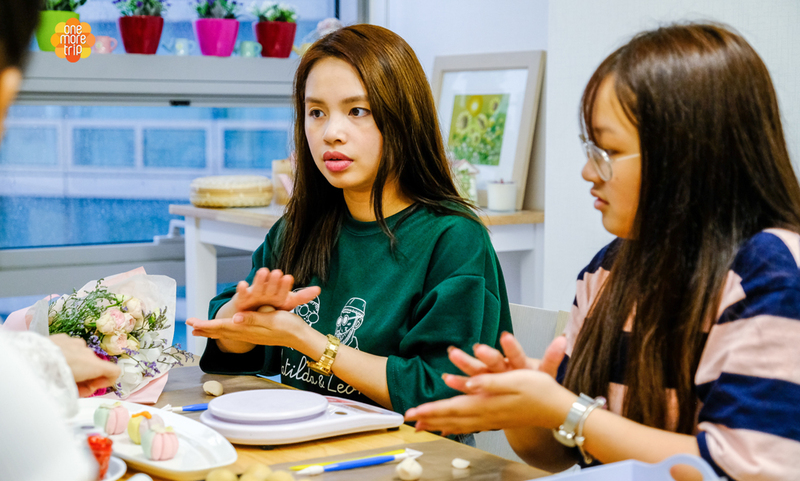 The Tak sisters wanted to introduce Korean bean paste rice cake to international tourists. Its colorful appearance and chewy texture will make you fall in love with these beautiful cakes. You could even say that these aren’t so much a food, but a work of art. As you will see when you visit Sunnysdining, the Tak sisters have many talents. 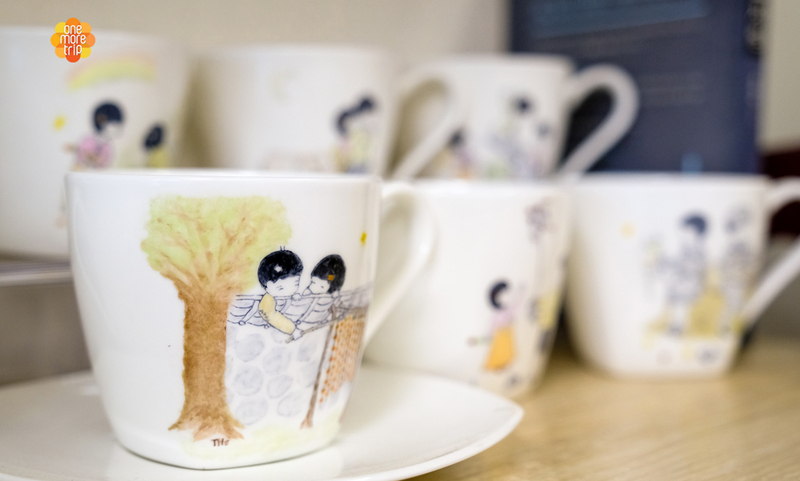 They’ve made everything from a mug cup series called Suny & Hoya, to small items made of traditional Korean paper and even crafts that feature Asian knot-tying techniques. 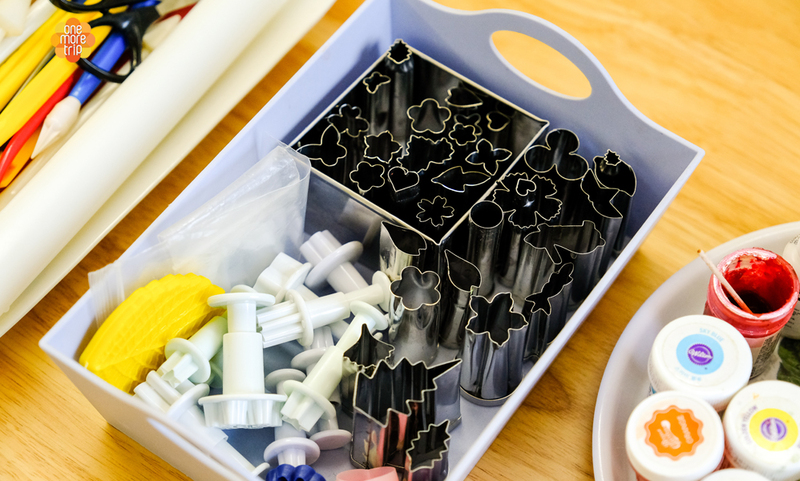 As an optional part of the class, they can also show you how to beautifully package your cakes with wrapping cloth. 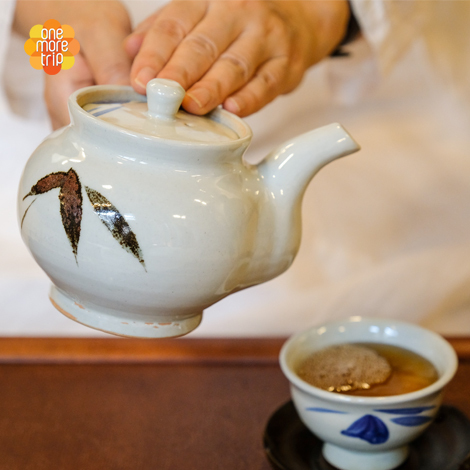 As Sunnysdining is located in a high-rise building, you can enjoy an excellent view of everyday life in Korea as you drink your tea. 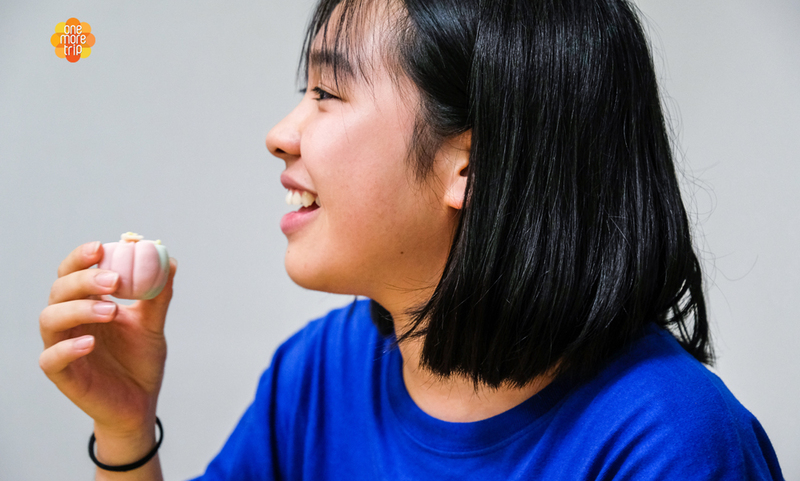 Trying out the bean paste rice cakes you made will make this moment even more enjoyable. The activity was much shorter than I expected (about 45 minutes), but we made some super cute rice cakes. They're absolutely picturesque and the teacher explained why these shapes and colors were chosen. They're perfect to give as a gift. Class was surprisingly short and the location was a bit surprising but the teachers clearly knew what they were doing and very friendly and easy to talk to. On my way to Australia I stopped for a couple of days in Korea. A friend recommended me a lot of places in Seoul but I wanted to experience something special and get to know the culture. Therefore I decided to pick the spots that offer you something new and I went to Sunny's Dining with friends! 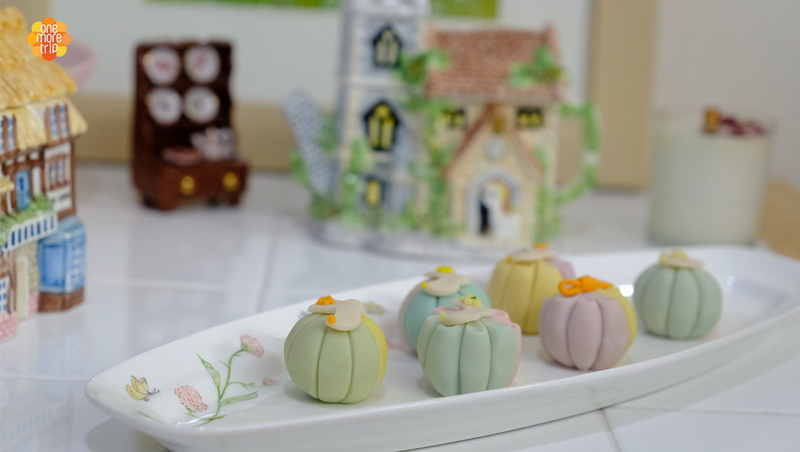 She showed us how to make all these delicious Korean sweets! 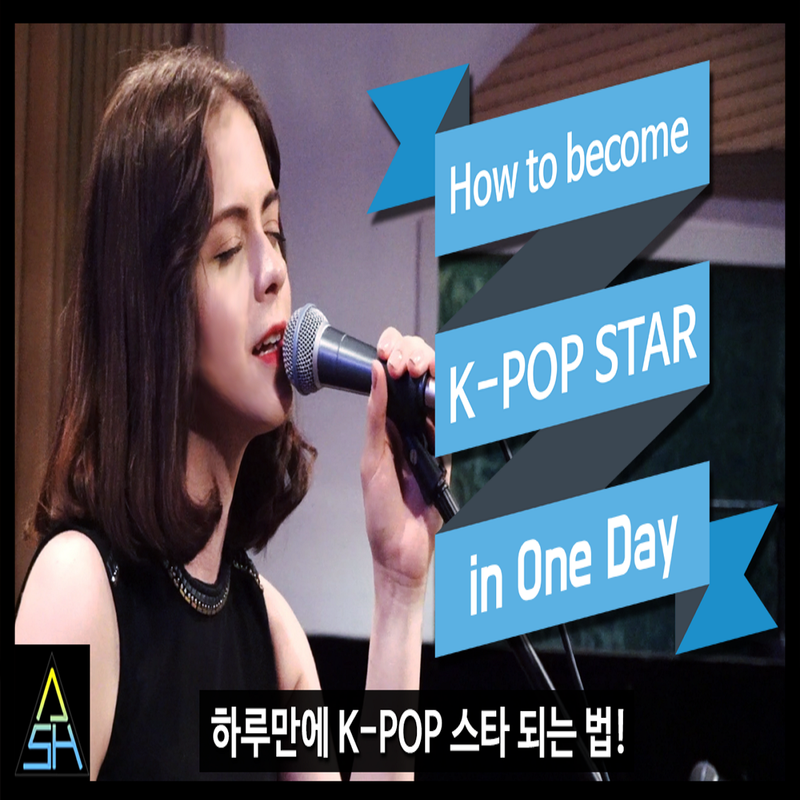 We had one of the most memorable days in her studio and she was a big help to get to know more about Korean Sweets and culture! I would definitely recommend to spend a day in Sunny's Dining! 作這些甜點非常有趣。姐妹們很溫暖。甜點出來非常可愛。甜點真的很好吃。如果你有機會你一定要参加! I'm glad I was able to attend this class. The sisters are so lovely and were really amazing when explaining all the steps involved in creating these beautiful desserts. I think everyone would have a great time. Highly recommend! This was a super fun experience, and I'm glad I was able to do it! 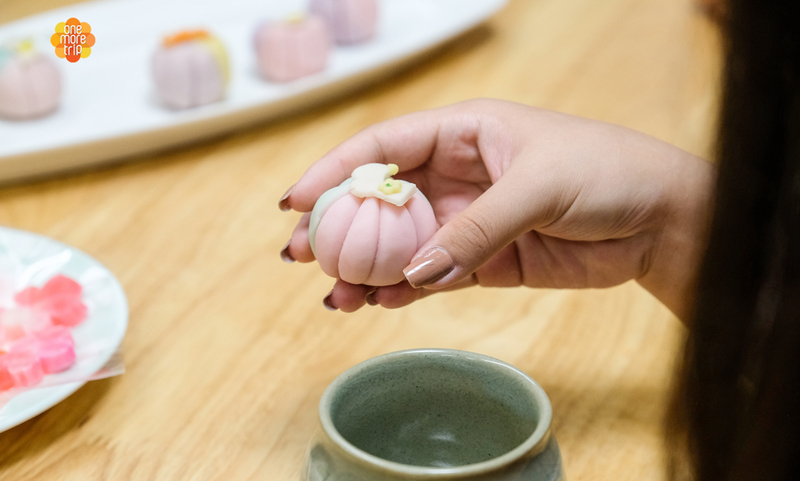 The rice cakes came out super cute, and it was fun making them. I was very happy the sisters helped me out through the tricky parts of the decorating process.They were both so nice and welcoming, and it was a great environment to experience something new and interesting! Definitely recommend! My friends and I went to Sunny Dessert Cooking Studio for learning a little bit more about the korean culture. 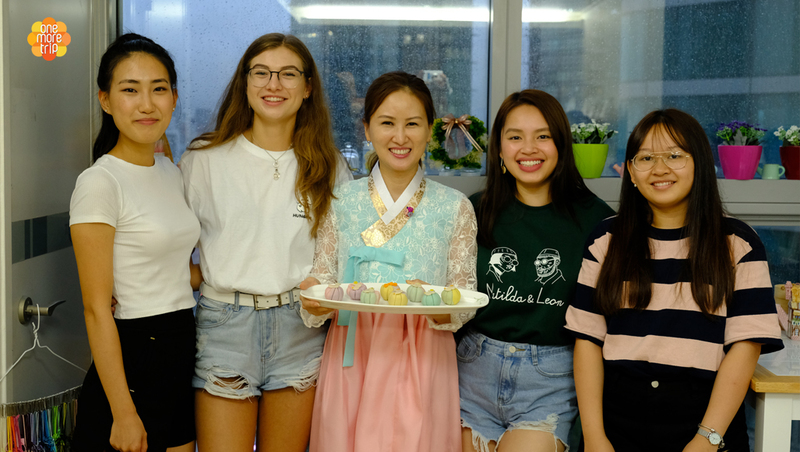 We'd a nice time with Sunny who taught us with patience and humour how to make lovely korean desserts. In the end we even could take our desserts home. I really enjoyed my time at her Cooking Studio! 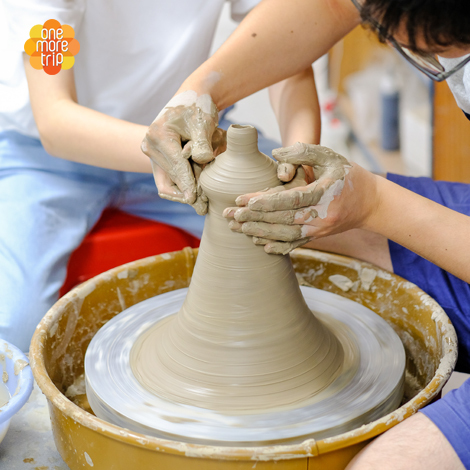 You Should dehinitely add a visit in Sunny Dessert Cooking Studio on your bucket list! My boyfriend surprised me with a little baking session at Sunny's dining when we were in Seoul for vacation. With some help we finally made our first homemade Korean Rice Puffs, which were really delicious! 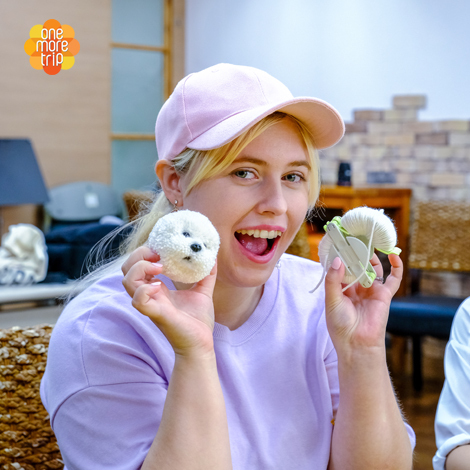 It was a great experience and our German friends were really happy to get these tasty DIY - souvenirs from Korea. Great experience! I went to Sunny's Cooking Stuidio a few months ago and thoroughly enjoyed the experience there! The whole team, especially Sunny, were really nice and did a good job guiding me and friends through the whole process. Thanks a lot for the patience and genuine joy you guys showed us. Totally worth a try! I was visiting the Sunny's Dessert Cooking Studio with my friends and it was very nice. She was teaching us very well and the overall atmosphere was really relaxed. I would totally recommend visiting her Cooking Studio if you want to see more of the traditional side of Korea. I went to Korea with my brother and discovered this place through Instagram. We made Korean Rice Puffs at Sunny's Dining which tasted amazing! 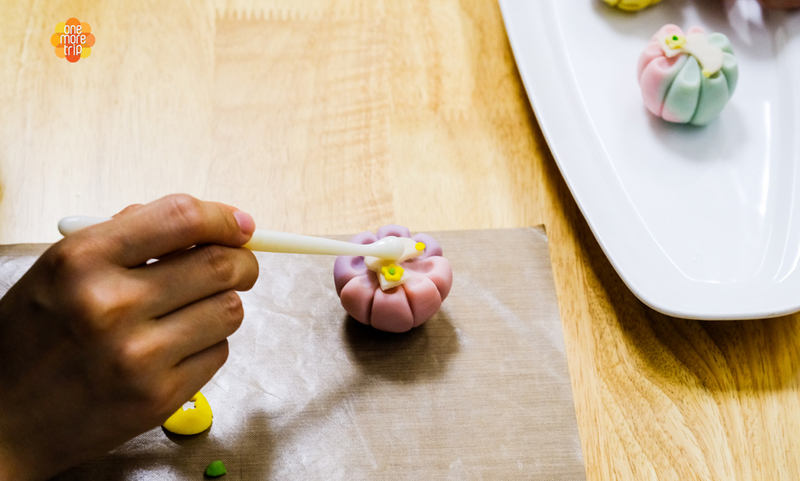 With the help of Sunny, we finally learned how to make Korean Sweets. This experience was wonderful and definitely made our trip to Korea so much better! I will definitely come back to this place! We made Korean Rice Puffs and they tasted amazing! 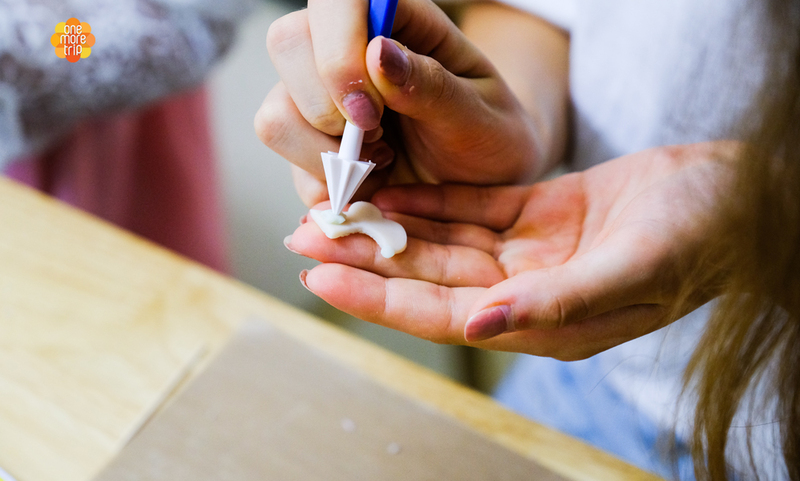 We had a great time learning how to create Korean sweets. Thank you for the nice experience. Sunny's Dining was a great experience. It was so much fun to make rice puffs. The location is so nice and the teacher was very friendly. It was really easy to make them with her help. I love her Instagram page! If I come back to Seoul I will definitely take another class!!! I was in Korea for a session abroad. A friend of mine made a suggestion how to spend my time after work is done. She discovered Sunny's Dining on Instagram and told me to give it a try. It was a very nice experience to make Korean sweets under the watch of Sunny. I would definitely speak out a recommendation to my friends. What a joy it was making beatiful rice puffs with Sunny. My friends and I learned so much and laughed a lot. And of course, the rice puffs were delicious! This was so much fun! I've never done anything like this before! Sunny was great the translater helped so much. Thank you so much! I had a great time with the owner. It was fun and informative! Thanks a lot! We had a lot of fun doing this! 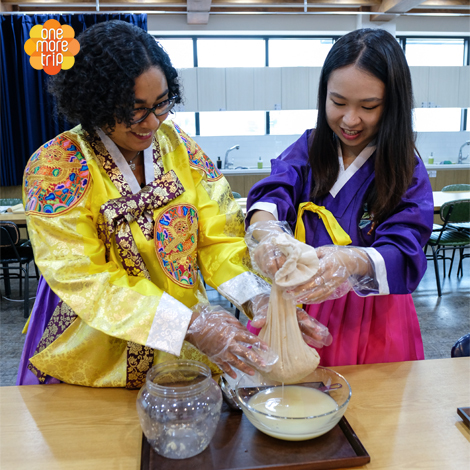 It was a good idea while visiting South Korea.. the beanpaste dessert was delicious and we had a blast learning how to prepare them. I went to Korea with my boyfriend for the first time last week. AMAZING!! My firend told me about this place and we went there the very first day. We got to make Korean rice puff which tumed out so yummy! It was so much fun that we even went back to it on our last day. 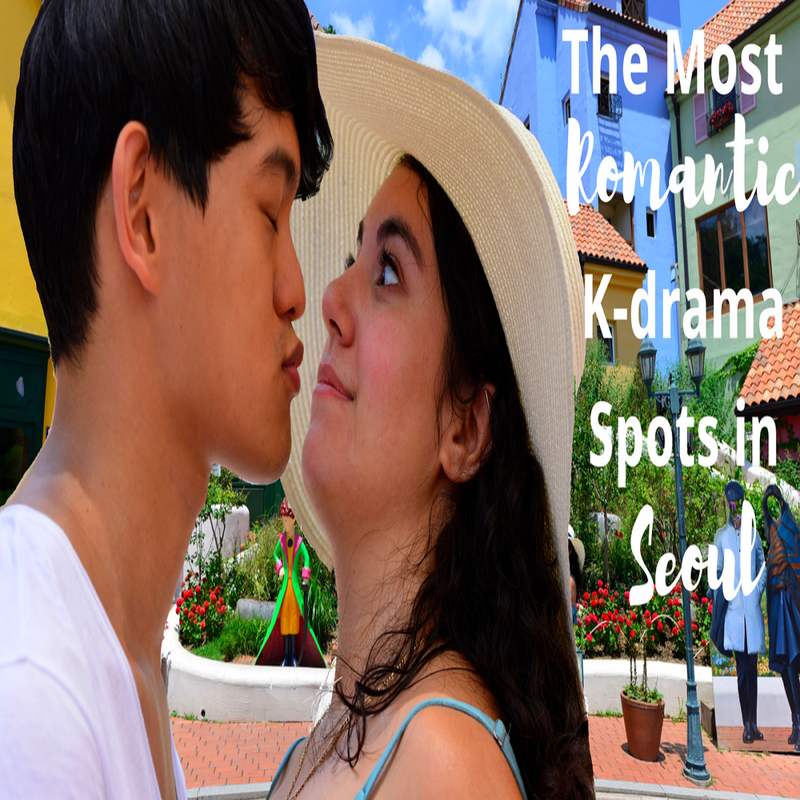 Definitely worth checking out when you're in Korea! 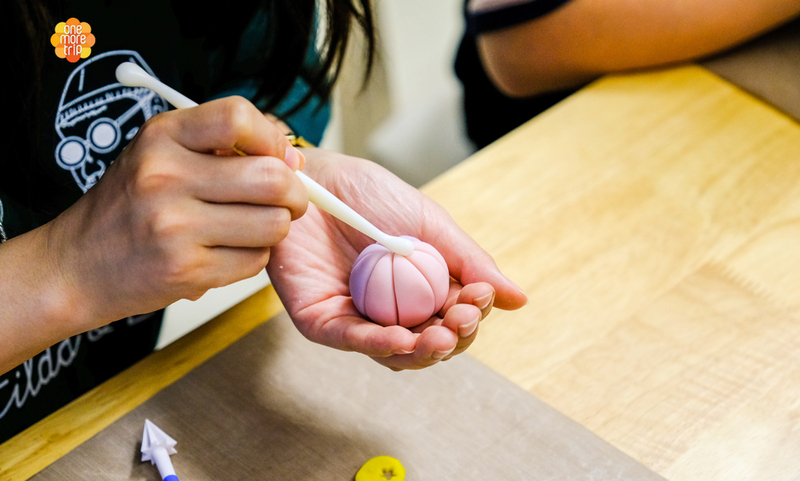 My experience at the bean paste cake decorative class was beyond worthy. I had an amazing time learning such a traditional and unique part of korean culture. It was definitely even more worthy eating our creations afterwards! They were so delicious! Would definitely go back for another class! The teacher was also super kind and helpful, she made it all even better. I like this experience. Their guidance was so kind and friendly. Through this experience not only made korean traditional food also knew korean traditional culture about u2018chuseoku2019. 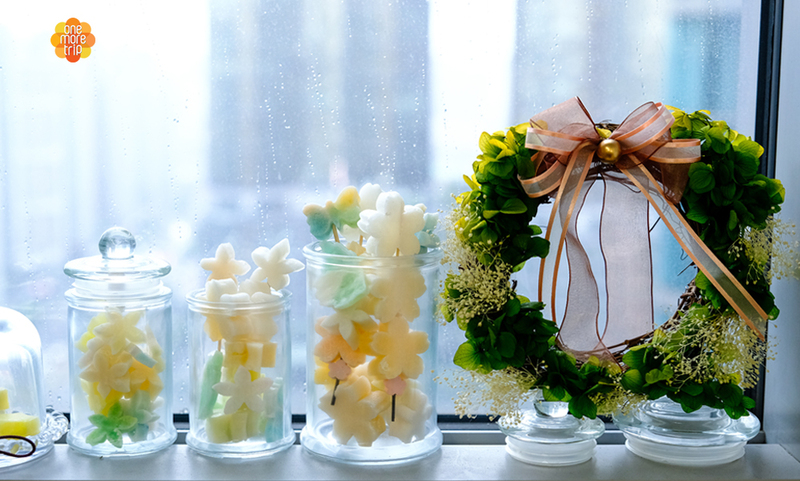 If I go to seoul again, I would like to make more difficult but more beuatiful rice cake. It's so awesome cooking class!! Especially, the rice cake looks like unique korean style. The sister very kindly help me to make rice cake so beautiful. Though my making skill was terrible, thanks to the sister I easily make cute rice cake. OMG. It was so fun. It was a little hard to find the place at first as it was located in a building but it was worth it. At 18F high, you get to see a nice view when you are in the room. The 2 ladies was really sweet and i learn a lot on how to apply the correct technique that would make the rice cakes so instagramable. Not to mention i get to see a lot of projects and products that was made by the teacher. I am really impressed by this workshop and might try out others in the future. I had a wonderful evening making deok with the team. They were very careful and clear with the instructions and patient. I was so pleased that I able to create something beautiful with their assistance. Thanks a lot!! I was at Sunny's Dining with my best friend. We made different desserts of Korea and tasted some. It was very fun! 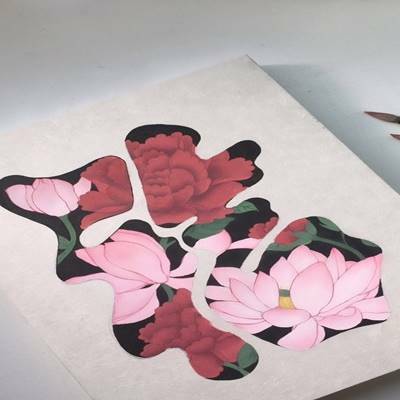 I want to come back to the studio to make more. thank you for the experience! I really enjoyed the class! It was a really unique experience, and honestly made me feel like I was talking an art class (but with cute and tasty edible art that I had to try not to eat right away.) 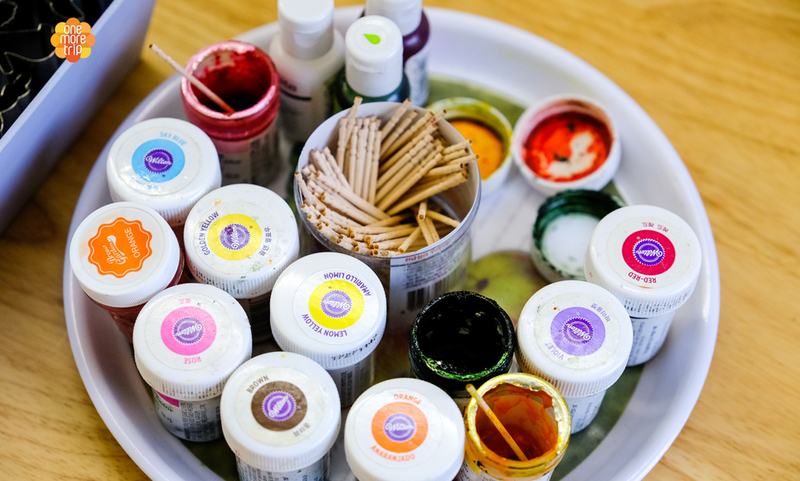 The teacher was very friendly and patient, and the vibe of the studio was cutesy and artsy, great for taking pictures! The instructions were very friendly, helpful and encouraging, when explaining the steps to making the rice cake. Instructions were very clear and detailed. They were also very patient. The rice cakes that we made were like we saw on the pictures of the website, which is really beautiful. Overall, I really enjoy the experience. It was realaxing and fun! I went to Korea to visit my friend. We made some delicious traditional Korean beanpaste dessert. The teacher was so nice. We really enjoyed that class. It was really interesting to learn something about the Korean culture while making some desserts. 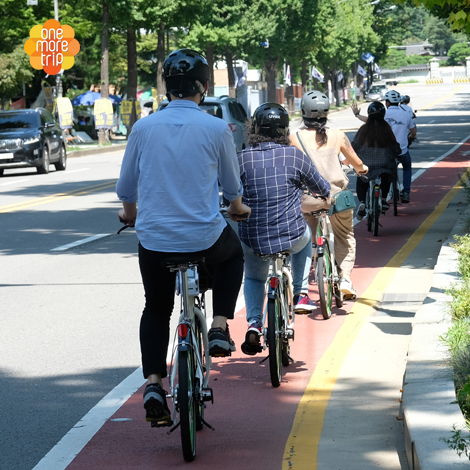 I really recommend it for other tourists in Seoul. I can only recommend the course! It was very fun and I would like to comr again. Sunny was super nice, she explained everything well and step by step. Thank you very much! 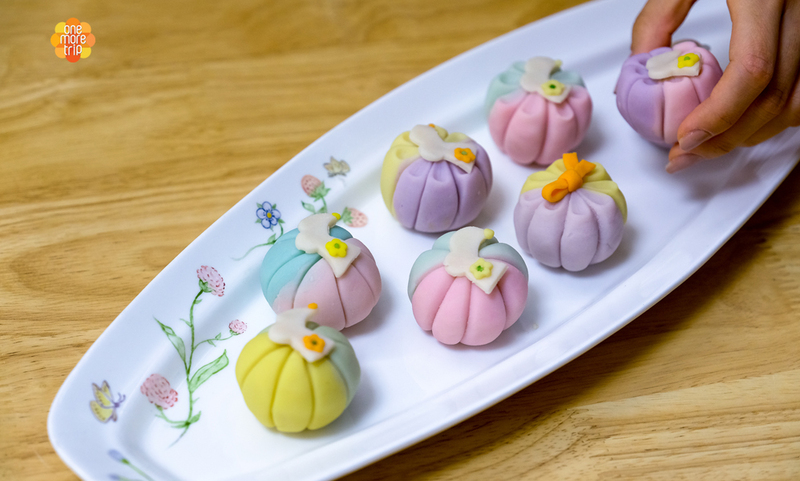 Making bean paste rice cakes decorated with korean traditional clothes motive with Sunnysdining was fun and interesting. Sunny and Jinsil were very helpful at ensuring we were following the steps. My rice cakes turned out very cute and I'm very excited to try them when I get home. Sunny is very talented and skilled in her craft. It's obvious that she has such a passion for what she does I highly recommend her activity to anyone traveling around Korea. 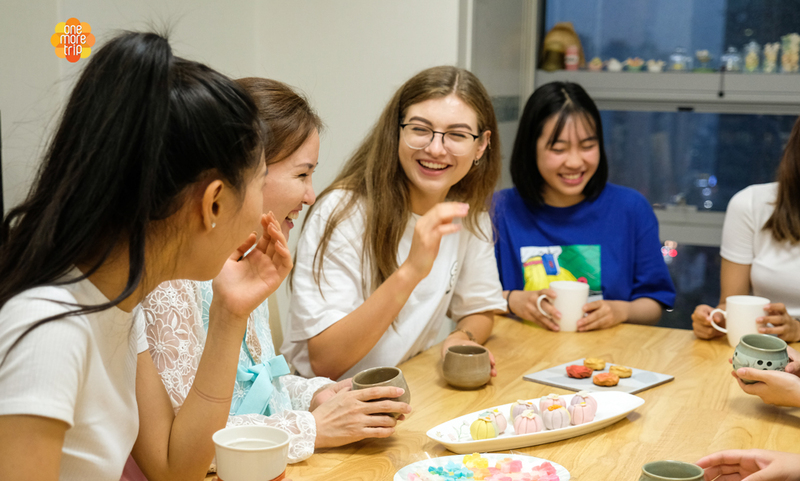 The rice cake making was a great experience, not only do you make absolutely delicious and beautiful looking delicacies we were received with such a warm welcome by the host I didn't feel uncomfortable at all. 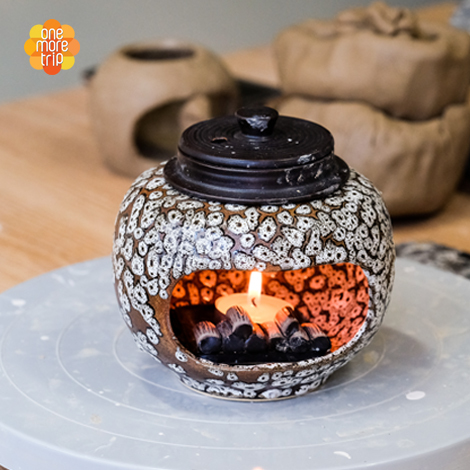 A great experience for people who want to try making food that looks beautiful without without the cooking! Definitely worth it! Was so much fun! The teacher was so nice & helpful. Would love to take the other classes too!